I'm not sure where in the world you guys are based but here, it rains... A LOT! When it rains I want comforting foods that don't require me to leave the house. I figured this would be the perfect time to trial recipes. 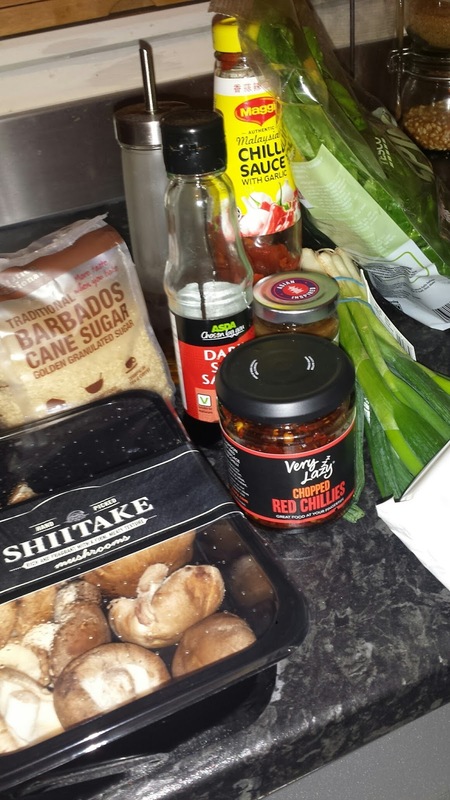 I love Japanese flavours and cook with them every now and then but not as often as I like. Having a request for a recipe got me really excited as I knew I would have to research and trial before tweaking...WOOP! 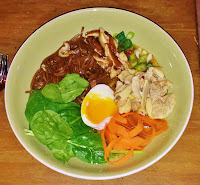 So, ramen originated in China and has been developed to the extent that there are many different types of ramen as I learnt when I began my recipe search. This makes sense I guess, different countries, provinces and regions have different staple ingredients so why would they not incorporate them? I am a huge lover of soy sauce and the flavour but have been trying to reduce my sodium levels so I chose the low salt soy. 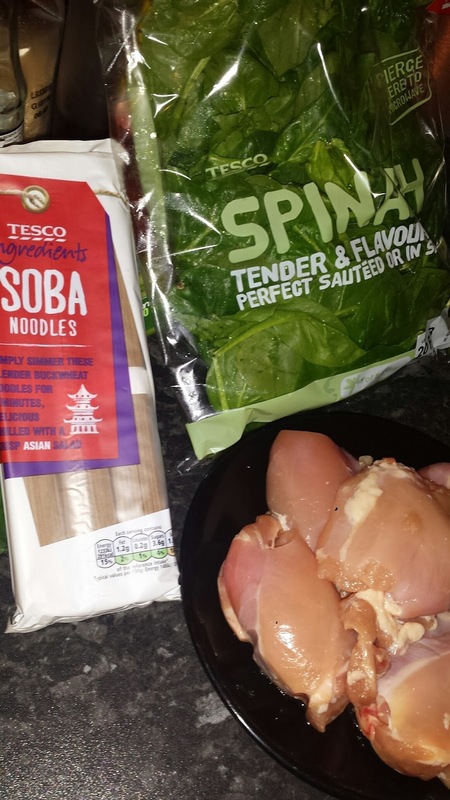 Still a great flavour so pat on the back for me for a healthy food swap. Let's talk about meat... pork belly more specifically. I'm going to admit something here that usually earns me looks of amazement and veiled disappointment. I don't like pork belly, in particular the gelatinous layer of fat that outweighs and unbalances the portion of meaty goodness you are actually getting! Now this looked to be a problem as most of the reading I'd done said ramen used pork in some shape or form (sighs heavily). Screw that I thought, what's wrong with a nice bit of chicken? So that's what I used. It may not be authentic but it's what I like and a leaner protein option than the pork belly. Double back pats for me! wanted. I was looking for a chicken broth so stuck mainly to the Kagoshima style ramen* which is from southern Japan. I think that by using a chicken stock you get a really nice base flavour to work with and can go from there. For me that broth is the most important thing in a ramen. I started with small quantities of my salty, sweet, spicy and sour flavours and went from there. As always I went with a chicken thigh because of the added flavour from the dark meat. For me the beauty of a ramen is the fact you can personalise it so easily. With my base stock simmering away I turned to my chicken. I wanted to poach my chicken separately to ensure it had a great flavour of it's own without tainting the broth and making it go cloudy. For this, I used a vegetable stock cube, a little chilli and 1 clove of garlic. This poached for 20 mins and a gentle heat to make sure it had bags of flavour and wasn't tough. When it comes to accompaniments for your ramen I do believe a soft boiled egg is a must. The richness of the yolk mixed in with the broth is simply divine! Many images of ramen show a 'tea' coloured egg, I found out that this is done by leaving the eggs to chill in rice wine and soy for a few hours after they have been soft boiled. Apart from being super hungry and impatient I quite like the contrast of the brilliant white egg against the broth and accompaniments. 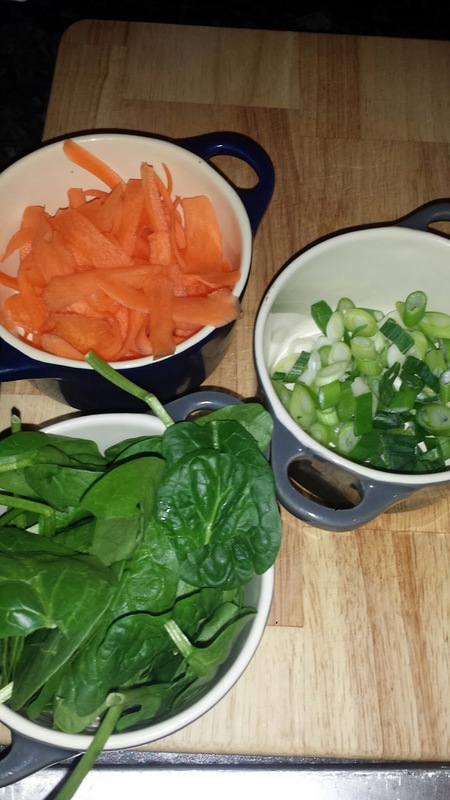 Every ramen I have seen comes with a range of sides though so I decided on some thinly sliced spring onion, carrot, raw spinach and some shittake mushrooms. Each of the vegetables I chose all have a purpose, because I was using soba noodles I knew my dish would look very brown if I wasn't too careful. So, I went for colour with the carrot, as well as the added sweetness it would bring, crunch from the spinach and spring onion and of course that not so illusive umame flavour with the mushrooms! I used shittake mushrooms as I think they have a deeper, richer and woodier flavour that works well with the remaining ingredients. Now don't get me wrong, as lovely as this dish is to make it is definitely not quick. I suppose you could make and freeze the broth in batches to speed it up or, make the broth up to the step before you add the water and then blend and jar that instead. Not too sure how well that would work though so let me know if you try it. Personally I quite enjoy the process, working methodically as the rain hits the window whilst you're nice and cosy indoors. 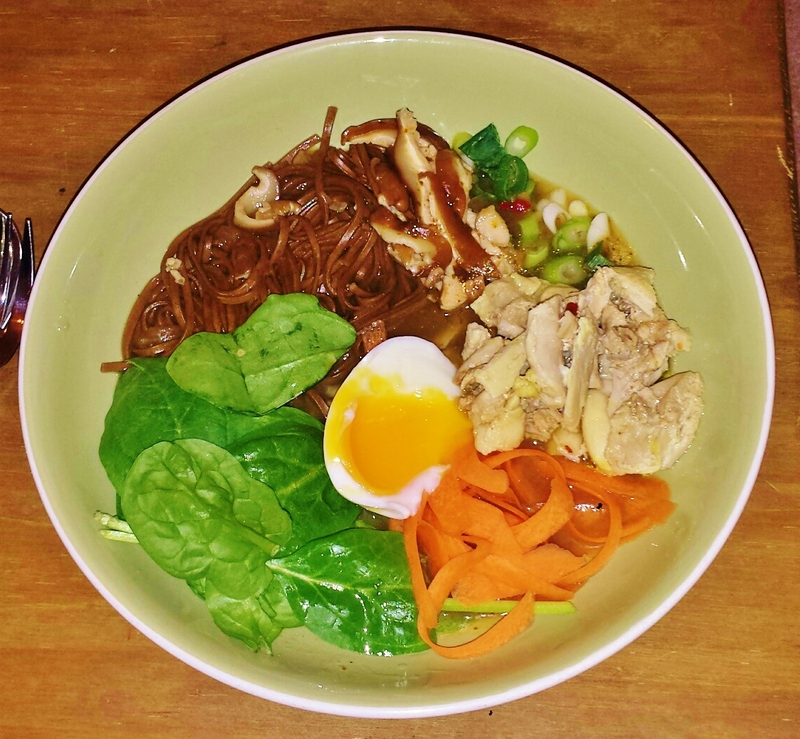 This ramen** is light but filling and definitely just what the doctor ordered when it's miserable outside. What could be better than being wrapped in a blanket eating your ramen? **The word ‘Ra’ means pulled (into) while ‘Men’ means noodles.